Uh oh, it appears as though Jessica Simpson’s dad Joe isn’t as perfect as he leads on to be! 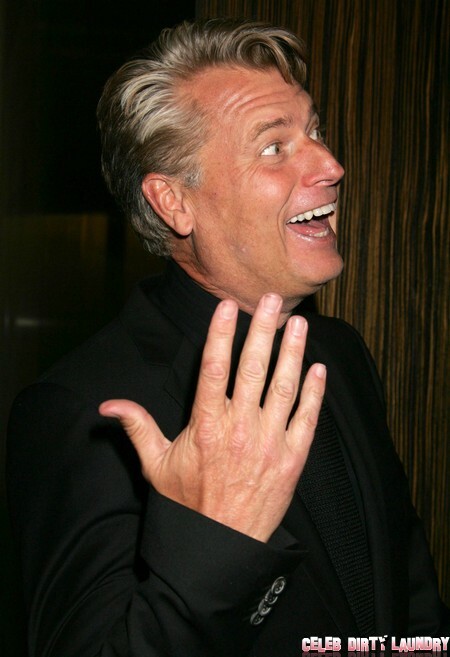 Joe Simpson has found himself in some hot water following a drunken DUI arrest on August 4th. According to the Los Angeles Police Department, the incident occurred around 10 pm on the evening of August 4th where Simpson was pulled over on Ventura Blvd. near his Sherman Oaks, California home. The 54-year-old was taken into custody after the officers suspected he was intoxicated and cuffed him on the spot. Joe was later released the next morning after bail was posted. Hopefully Joe wasn’t driven to the bottle over Jessica’s inability to slim down fast enough for her Weight Watcher’s contract after giving birth to Maxwell Drew? We know that Joe has the reputation of being a very business-oriented dad who always has his eye on the buck. Well isn’t this a bit of a pickle? No criminal charges have been filed as of yet so it is more than likely that Joe won’t face any jail time, but I’m sure his family isn’t too thrilled over the incident. Simpson’s recent arrest comes shortly after a nearly naked Randy Travis was charged with DWI (drinking while impaired) on Tuesday night after he crashed his car in Texas. What’s wrong with these people? Do they think they have a step up because they are famous? Celebrity or not, drinking and driving is terrible and can lead to serious injuries or even death. Thankfully in Joe’s case, no one was injured – and let’s hope he learns a valuable lesson here. And just what would his daughter Jess think? Shame on you papa Joe! Bet Nick Lachey is laughing now.